The project NAenCAT is applying new automation technologies on the secondary distribution grid, focused on the mid and small DSO. iGrid T&D has developed its new generation of RTUs, gateways and I/O modules for controlling medium voltage networks through any existing communication channel, including any mobile communication network, as GPRS, 3G or 4G (LTE). This new family will include devices to collect data from smart sensors, connected directly to the distribution grid. 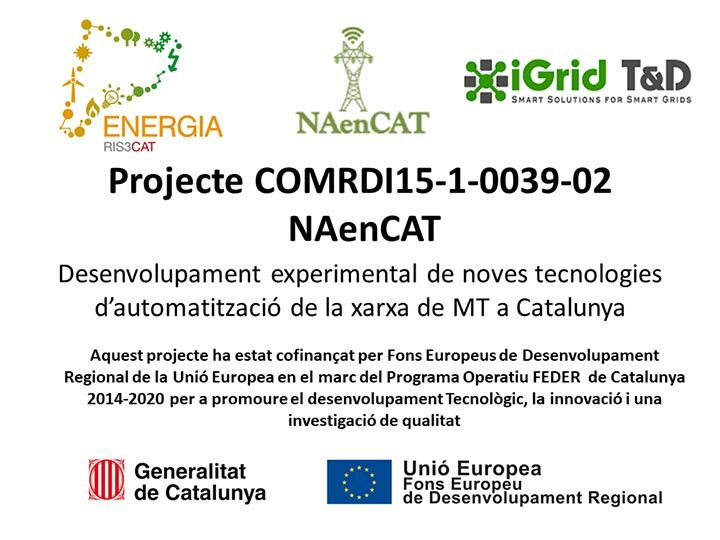 NAenCAT project is included on the RIS3CAT Energy community, which is supported by Acció (Agency for Business Competitiveness of the Catalan Government) using ERDF (European Regional Development Fund ).